Video loop (SD, 4:3, silent) shown on a Sony Cube monitor sitting on a custom mild steel plinth, accompanied by an asynchronous looped soundtrack played back through a single Alesis Monitor One speaker. At the time of this show, there was a scandal in Ireland relating to a large quantity of boom-time housing, which had been constructed using concrete containing a high concentration of Iron Pyrite (also known as Fool's Gold). 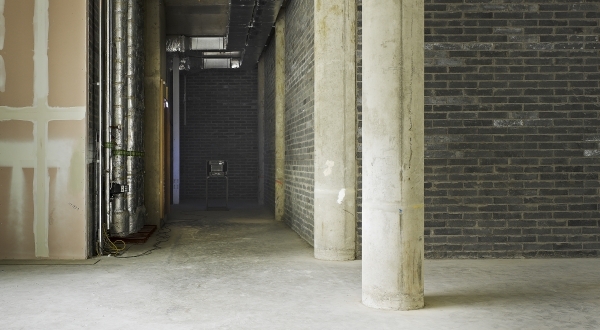 These installation shots show the work installed in a disused retail unit in Spencer Dock in Dublin's Docklands as part of the group show Conquested. 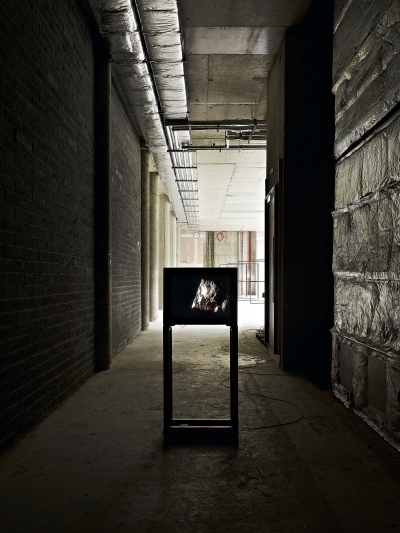 The video was presented on a Sony Cube monitor which sat on a custom mild steel plinth. 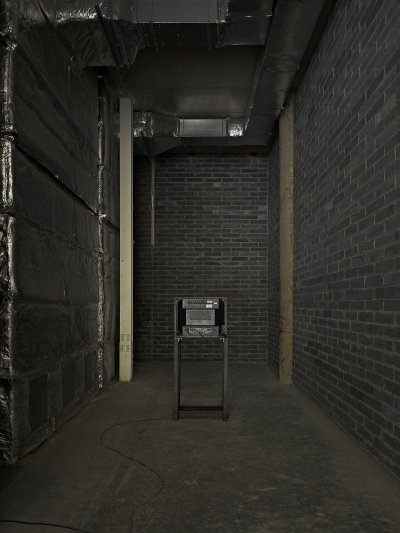 The soundtrack which contains some very low, physically palpable frequencies, was played back though a studio monitor speaker with good low frequency response, placed in close proximity to the video. Conquested was curated by Aoife Tunney. Aggregate was shot on location at the Hillman Hall of Minerals and Gems, Carnegie Museum, Pittsburgh. Thanks to Debra Wilson, Marc Wilson, Ray Ryan, Leigh Kish and the Mattress Factory. Please note that the video below combines the video and audio tracks to create an impression of how the work behaves when installed. It should be noted that the soundtrack element contains very low frequencies which don't reproduce through laptop/computer speakers, but which are physically palpable when the work is installed.